NEW YORK CITY — Queens' rental prices are catching up to Brooklyn's — and surpassing them. The ascendance of Queens has been a common refrain for more than a year now. Last month's rents for the "hot" northwestern part of the borough that includes Long Island City and Astoria show that Queens is no longer necessarily cheaper than most desirable neighborhoods of Brooklyn, stretching from Greenpoint to Park Slope. Northwest Queens' median rents jumped 30.7 percent from the same time last year to $2,905 a month for January, according to a report from Douglas Elliman released Thursday. That was $4 above North, Northwest and East Brooklyn's median rent, which rose 2.5 percent to $2,901 a month. 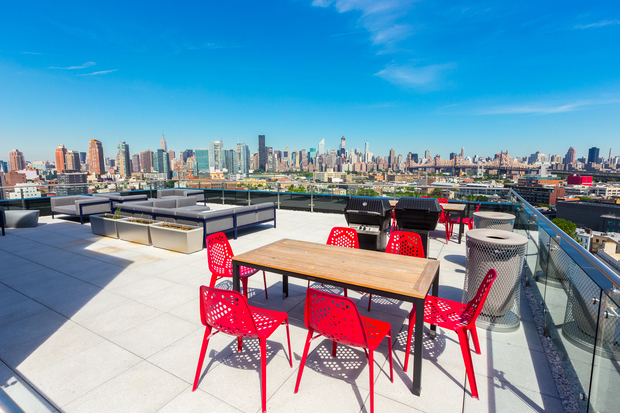 "Everyone wants to be part of Brooklyn, but I believe that customers are rediscovering Queens," said Luciane Serifovic, Douglas Elliman's director of rentals. "It's now becoming a destination for clients: There are a lot of new projects. They're loaded with amenities. They have water views," she added. "And Brooklyn is closer to Downtown [Manhattan] but Queens is closer to Midtown." This segment of the Queens market is still smaller and less stable than the trendy areas of Brownstone Brooklyn since it's undergoing a transformation with new developments, noted Jonathan Miller, the real estate expert who crunched the numbers for the Elliman report. Forty-two percent of the borough's January rentals were in new developments, he noted. "Queens has been more erratic because we have a lot of these new development projects," Miller said. "But prices are rising." Manhattan median rents jumped too, the report found. Rents rose 5.9 percent to $3,299 a month. That was roughly $400 more than Queens and Brooklyn. Smaller units in all three boroughs have been seeing the greatest price growth in recent months, Miller said. It's an indication of a few factors, he said: Employment is rising and mortgage-lending conditions remain tight. "The entry-level people are being held back from being first-time buyers, so the rent pressure is tighter," Miller said. Plus, the new condos being built are skewing more toward the middle and upper end of the market, also making it harder for buyers looking to make their first purchase. Toward the end of 2014, it appeared that rents were leveling off or easing just a bit in terms of price growth. But January's rents show a different trajectory. "We're in a new year, and we're seeing pretty consistent growth," Miller said. "The market is roaring ahead again." The Bronx may be next, some brokers have said. "You certainly hear that," Miller agreed. "But it seems like every time there's a housing uptick, whether in the mid-'80s or the last boom, everything runs out of gas before it reaches The Bronx." In Manhattan, the Upper East Side was the most "in-demand" neighborhood in January, according to a Citi Habitats rental report. The area, which had a .99 percent vacancy rate, still had deals in the areas east of Second Avenue, the firm found. Prices are expected to remain on an upswing. "Slowly but surely, we expect the rental market to continue its shift to the landlords’ favor as spring approaches," Gary Malin, of Citi Habitats, said.